Linden Lab and Second Life use e-mail in a wide variety of ways, from direct e-mail campaigns informing users of promotions, etc., through the users having a means to obtain IMs sent to them while they are not logged-in (and even reply to them within a certain time constraint). However, many people sign-up to Second Life, either with new accounts or additional accounts, and offer e-mail addresses which are either made up, or unused. The former is a particular problem for the Lab, as it creates additional traffic passing through ISPs, which can mark the Lab as a purveyor of “spam”. To try to reduce this problem, the Lab recently introduced e-mail verification. 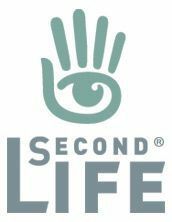 When you sign-up to Second Life, the e-mail account provided will receive a request to verify it (the usual click-on-the-link approach); if you change the e-mail address, you will receive a similar verification request. In addition, there is also an option within the Change Email Settings of your Second Life dashboard where you can have your e-mail verified without having to change your e-mail address. This is important because, starting in the very near future, the Lab will be making changes to their e-mail service which will eventually mean that outgoing e-mails will not be sent to any unverified e-mail addresses. So, if you want to be sure you continue to receive SL-related e-mails – such as IMs to e-mail or Marketplace information sent to your e-mail as a Merchant, etc., – it is important you ensure the e-mail you use with Second Life is verified. Go to your dashboard at secondlife.com. Click on Account at the top left of your dashboard to open the Account sub-menu. 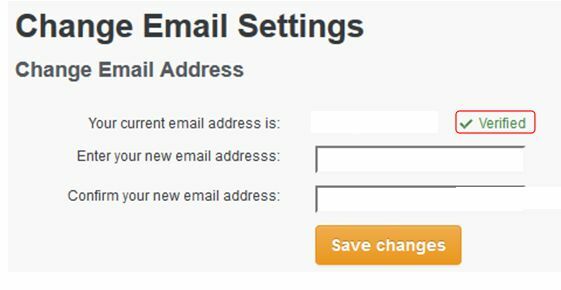 Click on Change Email Address to open the Change Email Settings page (below). Locate the Verify link next to your e-mail address and click on it. A verification e-mail will be sent to your current e-mail address associated with Second Life, containing a link. Click the link to verify your e-mail address. Wait a minute or so, then refresh the Change Email Settings page on your dashboard. It should be updated to show your e-mail address is verified (below). There will be an official notification from the Lab when the work updating the e-mail service commences. However , this article can be treated as something as an advanced warning, courtesy of Oz Linden speaking at the January 27th TPV Developer meeting. It’s not clear how long the changes will take to implement / propagate out, but it is important that if you rely on any e-mails sent to you by the Lab in relations to Second Life, you ensure your recorded e-mail address is verified, otherwise you will at some point no longer receive any e-mail notifications from the Lab until such time as you are using a verified address. I am having problems with this. Fortunately, I tried first with an alt. The verification email never came. The account has a dedicated email address which works, I continue to get notices and such to email. Tried to re-enter the email address and ended up with a notice to call LL. @Shug Did you put your address in again, or just hit Verify? I put the same email I’ve been using for most of 10 years, in and then hit verify. Less than a minute later, I had the link, and was done. Important if wish to continue to receive emails and offlines from Second Life and Linden Lab!